BOSTON, Mass. 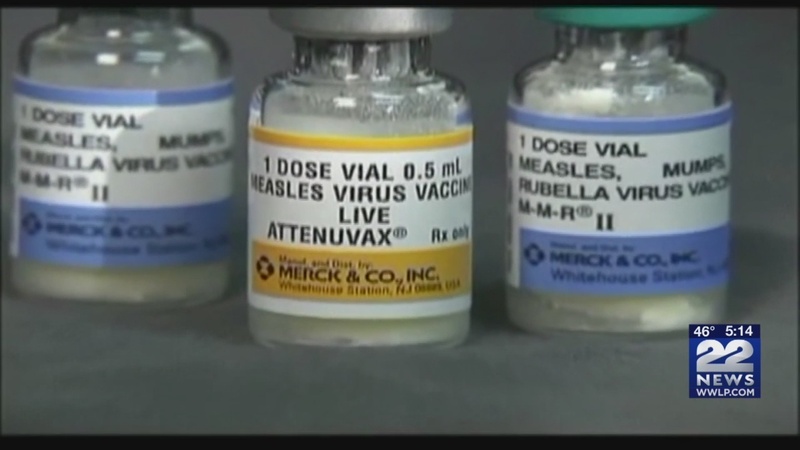 (WWLP) – One person has been diagnosed with measles in the greater Boston area and others may have been exposed to the virus, state health officials announced on Monday. The Massachusetts Department of Public Health said the individual, who was diagnosed with measles on Sunday, visited the following locations below and may have exposed the virus to others. Measles is very contagious. Those who are not immune and may have visited any of the locations below during the dates and times below may be at risk of developing the virus. You are advised to contact the healthcare provider to confirm your immunization status. According to the DPH, early symptoms of measles occur 10 days to two weeks after exposure and may come in a form of cold with fever, cough, runny nose and red eyes. You might also get a rash on your skin after the initial symptoms develop. The rash usually appears on the head, moves downward and typically lasts a few days before disappearing. If you are exposed and start developing any of the symptoms mentioned above, you should call your healthcare provider immediately before visiting. Children . Children should receive their first dose of Measles-Mumps-Rubella (MMR) vaccine at 12-15 months. School-aged children need two doses or MMR vaccine. Adults . Adults should have at least one dose of MMR vaccine. Certain groups at high risk need two doses of MMR, such as international travelers, health care workers, and college students. Adults born in the U.S. before 1957 are considered immune to measles from past exposures.